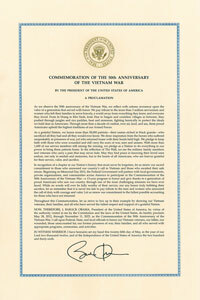 In accordance with Public Law 110-181 §598; the 2008 National Defense Authorization Act authorized the Secretary of Defense to conduct a program to commemorate the 50th anniversary of the Vietnam War and "in conducting the commemorative program, the Secretary shall coordinate, support, and facilitate other programs and activities of the Federal Government, State and local governments, and other persons and organizations in commemoration of the Vietnam War". 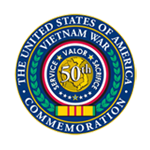 Whereas the State of Nebraska has sent sons and daughters to fight and support the Vietnam War on land, sea, and in the air, the Governor and the Unicameral joins with the Secretary of Defense in partnership commemorating those who have served our country and this state during the Vietnam War. 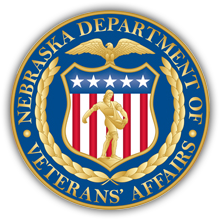 To thank and honor Nebraska veterans of the Vietnam War, including personnel who were held as prisoners of war (POW), or listed as missing in action (MIA), for their service and sacrifice on behalf of the United States and to thank and honor the families of these veterans. 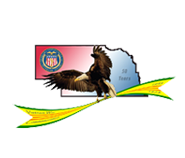 To highlight the service of Nebraska's citizens serving in the Armed Forces during the Vietnam War and the contributions of Federal agencies and governmental and non-governmental organizations that served with, or in support of, the Armed Forces. 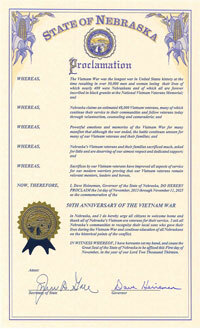 To pay tribute to the contributions made on the Nebraska home front by the people of Nebraska during the Vietnam War.